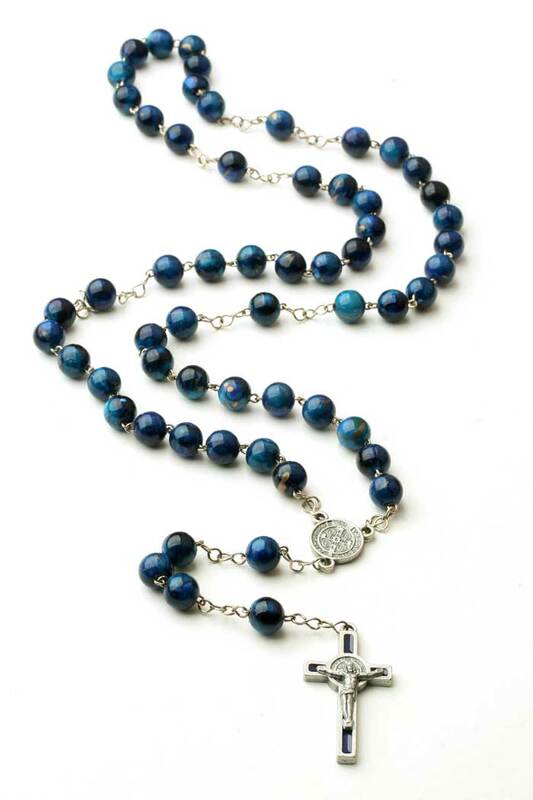 Deep blue rosary beads with St Benedict Medal center and crucifix. 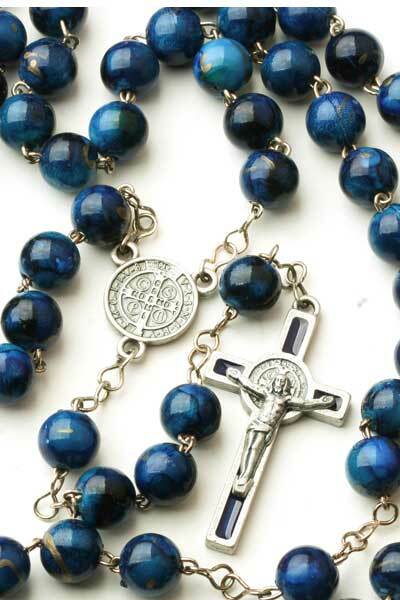 The centerpiece and the crucifix are double sided. 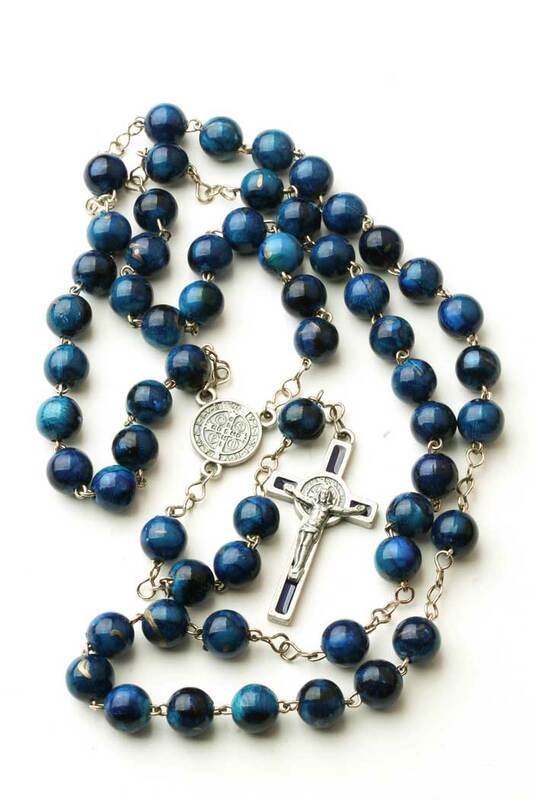 Rosary length 18 inches. 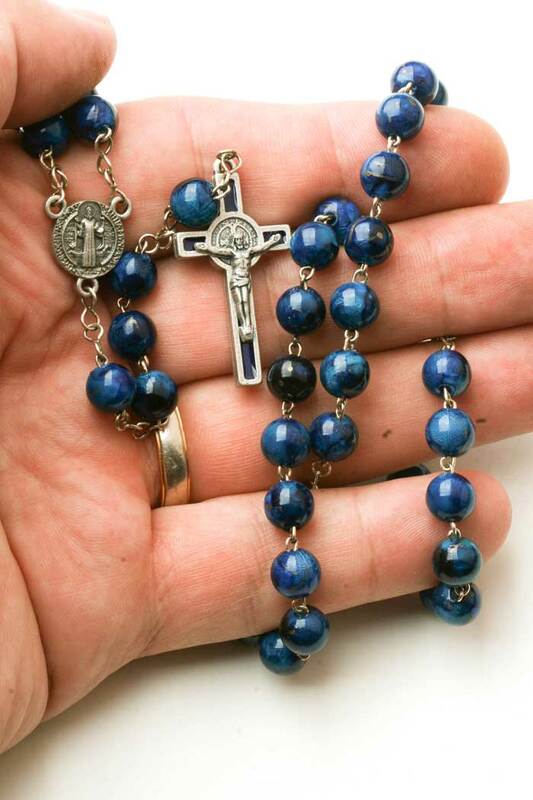 The 8mm rosary beads are round and chain mounted. The crucifix size: 1.5 inches. Made in Brazil. Comes in a box.